P. O. Hviezdoslav and Orava Castle. 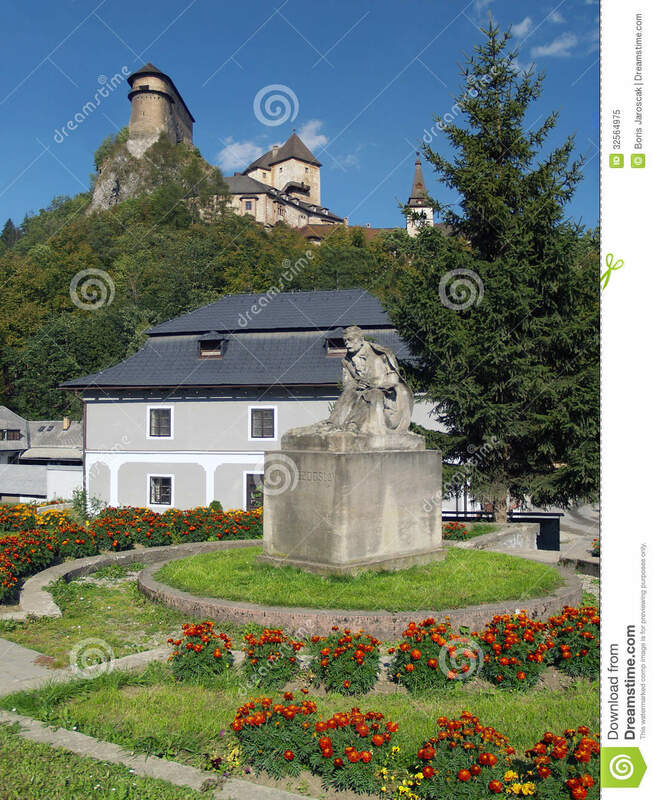 A view of main square in Oravsky Podzamok town with statue of P. O. Hviezdoslav and the highest part of Orava castle situated on a high rock. 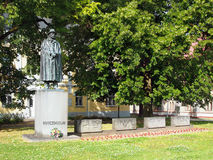 Pavol Orszagh Hviezdoslav (born in February 2, 1849) was the most famous Slovak poet, dramatist and for a short time member of the Czechoslovak parliament. Orava castle is considered most beautiful castle in Slovakia and it visited by thousands of travelers from all around the world. This castle is also a popular location for filming fairy tale movies. 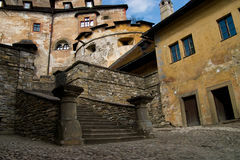 Orava castle is located in Orava region, northern Slovakia.